Rabat – Mohammed Mezouri, known by his stage name Muslim, is a Moroccan hip-hop pioneer. A politically conscious rapper seen as the voice of the voiceless, the lyrics of his songs describe Moroccan citizens’ concerns. 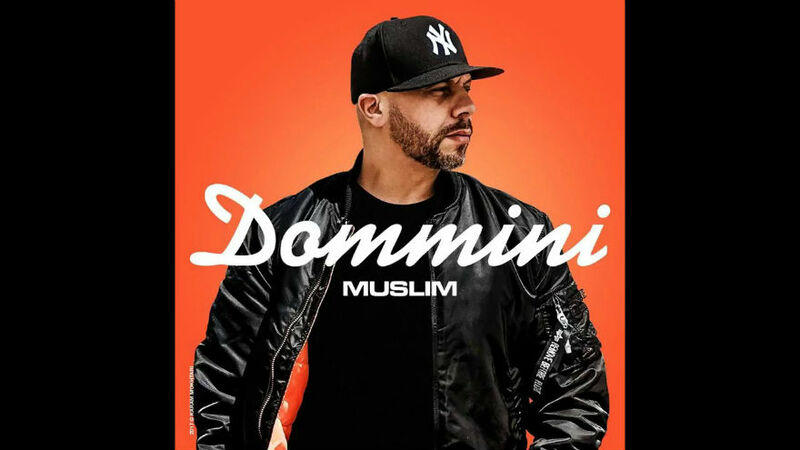 Morocco World News catches up with him to talk about his latest hit “Domini” (“Hug Me Tight”), rap, the current government, and the ongoing protests in Rif region. Morocco World News: Your latest song “Domini” has exceeded two million views on Youtube. Can you tell us more about it? Muslim: As usual the song is written and performed by me, produced by Bilal Africano, and recorded and mixed in Tangier at Africa Production Studio. The mastering was done by Fleuron at Color Sound Studio in Paris, and the music video was directed by Redouan Aqali in Ifrane – almost the same team I worked with is my last clip “Zen9a”. At first sight, people thought I was talking about a woman. But when they listened carefully, they have understood that I am talking about our homeland Morocco. There is a big difference between the government and the homeland. The government is the cause of all Moroccan citizens’ problems. We need a government that serves our homeland and citizens’ interests, not its personal interests. We need something that makes us love our country, not that drives our young people to throw themselves in the death boats trying to escape the hell of poverty, unemployment, and drugs. Anyone who has been listening to Muslim since the “Tanjawa Daba” album will make a link between your new song and the current Rif protests. Is the link accurate? The situation of the Moroccan citizens in Al Hoceima and the Rif is the same for Moroccan citizens throughout [the country]. I think it’s normal for me to discuss any subject that bothers me just like any other Moroccan citizen. This is what’s rap is about: passing a message. As an artist, what is your opinion on the Rif protests? This is the first time I will publicly express my opinion on the protests in Al Hoceima and Rif since the beginning of the protests. Yet, I have been 100 percent in solidarity with the Rif residents. Any Moroccan who listens to the demands of the citizens from the Rif, who ask for job opportunities, medical treatment and revitalization of life in rural areas, can only be in solidarity with them. But I am against all those who have surfed on the wave of demonstrations and used the legitimate Hirak [movement] for the purpose of sowing divide and spreading racism. That is why I remained silent, so that my opinion wouldn’t affect the public opinion, and God willing, the conditions of our brothers in the Rif and other regions of Morocco will improve. We started a protest movement of our own since 1996 when we chose rap as an art for expression to criticize and discuss what is negative at both the governmental and social level. But this criticism is only a fruit of our jealousy and love for our homeland which we aspire to see at [its] best, because its people deserve it. A remarkable repeated comment by your fans is that Muslim music videos decrease the strength of his songs What do you think? That’s a smart question, but the answer is easy. I think that among the things that Muslim in known for is the strengths of his words. In my texts, you find rhymes and analogous metaphor, these are elements factors that make any image weak in front of the beauty of the text. Besides, we try not to get into scenarios and stories that will take too much time. All your recent songs are trap music. Is Muslim trying to follow the new trend? Is there a chance to hear Muslim once again like in the old days? Whoever has followed Muslim since his beginning in 1996 will find that Muslim is a contemporary to his time music. I did the old school with “Out-Life”, undergound with the “Zenka Flow” and I performed in the West Coast [style] too. Rap is in a constant evolution, and we need to evolve with it, which proves that Muslim can handle any style. As for the classic [style], it shall never die and I will still continue to do it because I like it. Rap is in a permanent evolution, but it shall return to the classic. Many of your fans keep asking, is there any chance to they will see Muslim and Larrabee collaborate again? It was not long since I last met my brother Larrabee. God willing, we may release a song, a music video, or even an album together at any time. But doing so requires time. We are getting older and our responsibilities are increasing. This is why we haven’t found [the time] to get together. Yet “Zenka Flow” will remain one of the great schools in Moroccan hip-hop. There are many upcoming projects, new styles, new videos. I keep working hard to raise the Moroccan rap flag and give my fans the music they deserve.